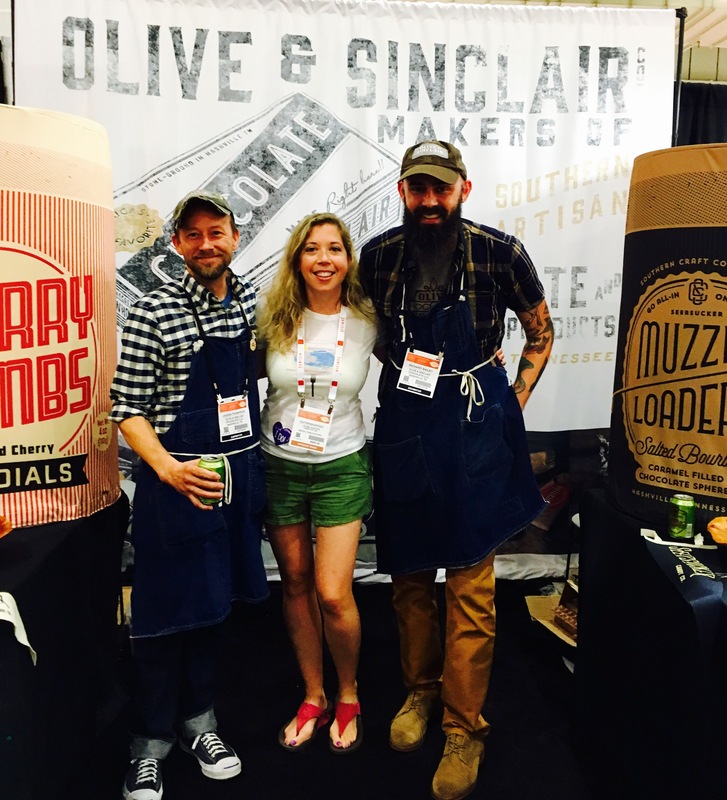 SFFS16 Review Part 2: Snacks and Sweets – Eat, Drink, and Go! To stand out in a crowd is never easy, but these snacks and sweets makers did so for me! First, as you know from prior blogging, popcorn is my favorite snack. This was a big item this year, as everyone is trying new corn, exotic seasoning, and even mixing up different types together (which by the way is never a bad thing to combine cheesy and caramel popcorn – I love the sweet and salty combos!). I honestly loved all the popcorn I tried, so it’s hard to pick a fave. 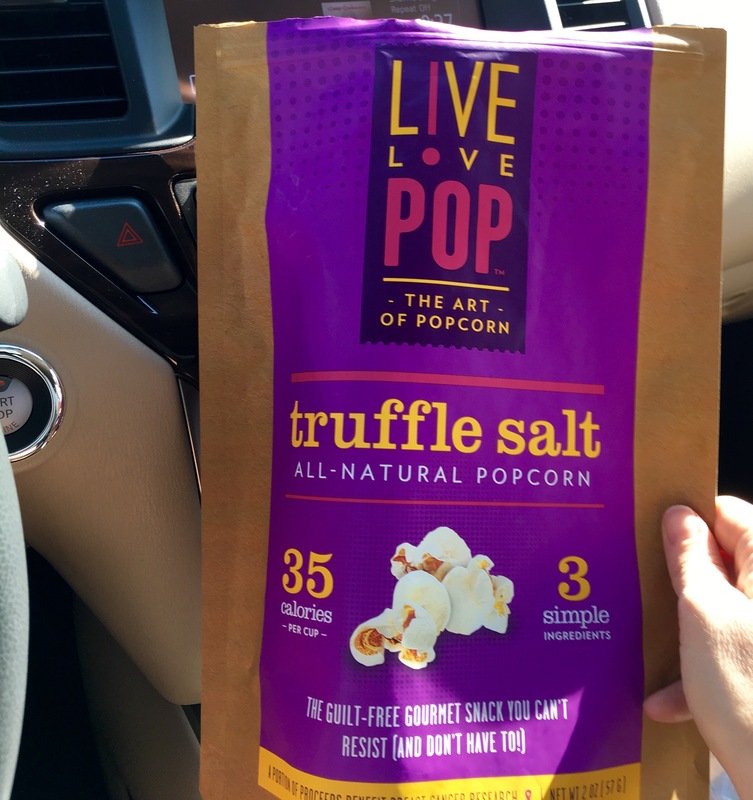 However, my ever trusty Truffle Salt by Live Love Pop was still one of my faves. And its packaging makes it my favorite car snack. It is very light and perfectly flavored with a truffle salt (and I love all things truffle!). I think I could eat the whole bag. No, I KNOW I could eat the whole bag. I actually waited til I got home from the show to snap a pic of the bag in my car to prove that this is honestly my car snack. The ziplock top keeps it fresh and spill-proof and it keeps me alive when I think I’m going to starve to death while in the car. I love Live Love Pop!! I also tried their Lime Fresco which was yummy! http://www.livelovepop.com. Too bad I didn’t get some samples at the show, but they did have the biggest display bag of popcorn I’ve ever seen! 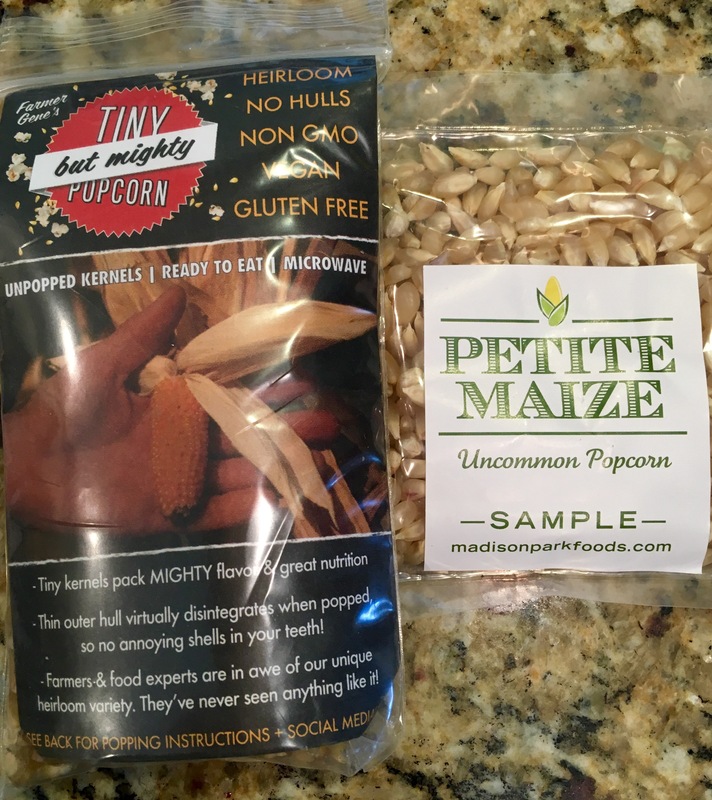 I’m also looking forward to popping my own, which I do whenever I have the time at home, and will be trying out the goods from Tiny but Mighty and Petite Maize soon! 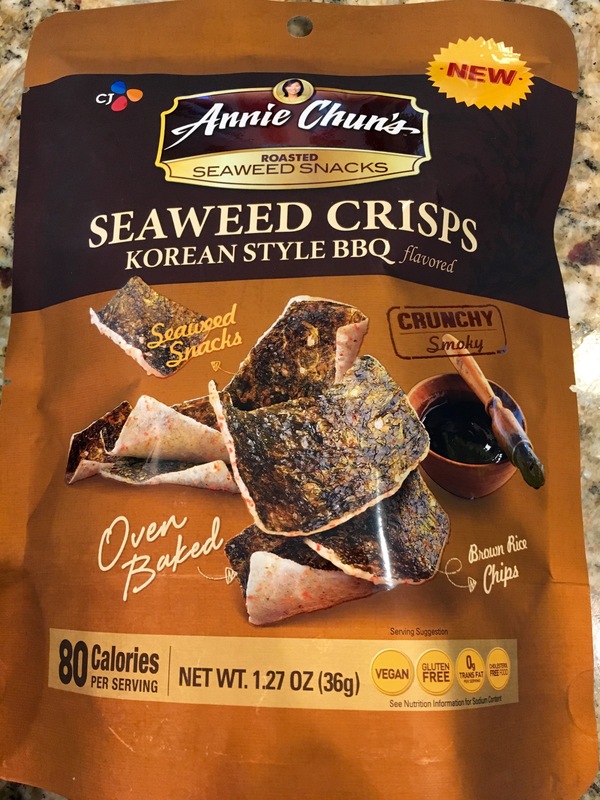 One of my other favorite snacks at the show was Annie Chun’s Seaweed Crisps. And now for the sweets… There was probably about a million pounds of chocolate at the show. I’m not a sweet freak, I generally gravitate toward the salty and savory, but there were a few show stoppers that made my mouth sing. One of the first things I tried at the whole show was a liquid filled chocolate. 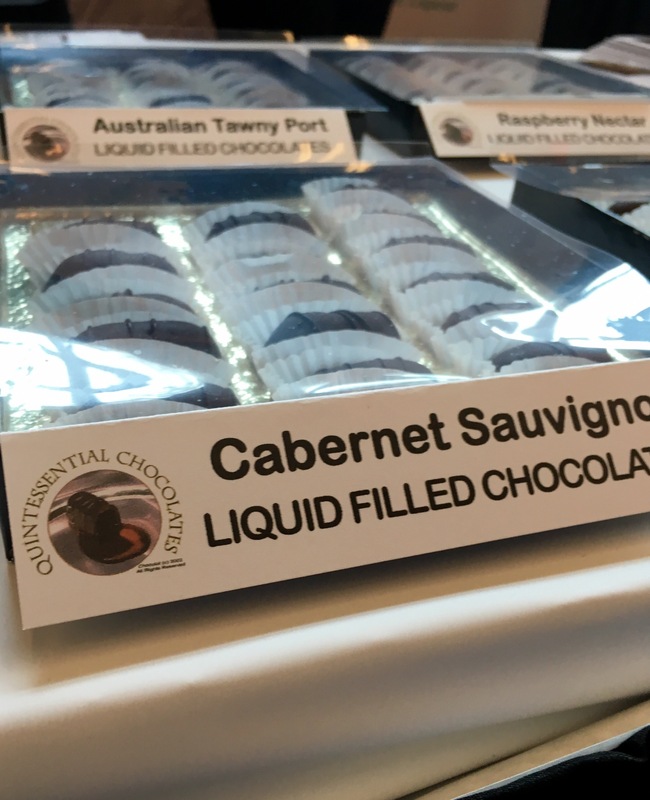 I wanted to pace myself since it was early and decided to try the only one I had never seen before – the dark chocolate filled with Cabernet Sauvignon. It was divine. Like heaven bursting in my mouth and it truly tasted like a rich red wine. In the same category, but a different take on the filled chocolates was the chocolate bombs made by Olive & Sinclair. 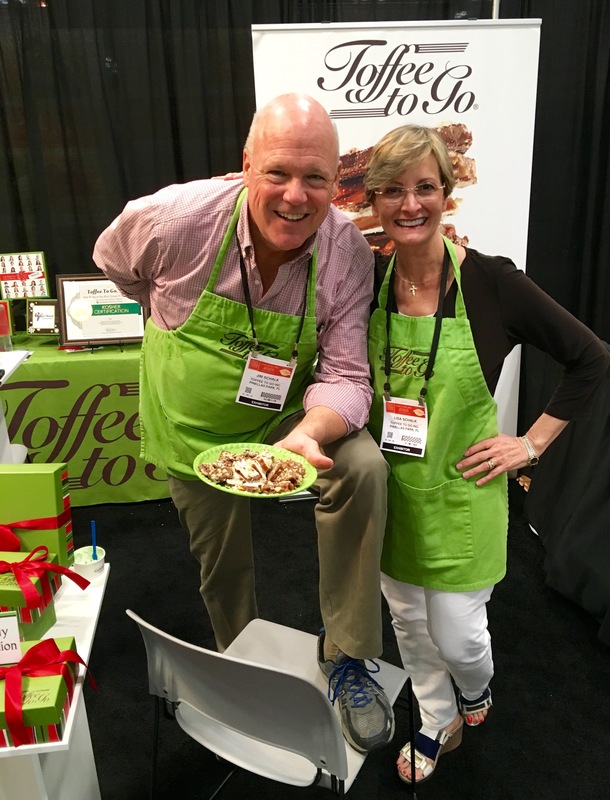 A stellar confectionary that stood out in the crowd was Toffee to Go. I like a softer yet crystalline toffee that’s not too sweet and this was it! Perfect toffee!